Many people are committed to excellent dental hygiene in order to maintain a beautifully sparkling smile. That is a great reason to keep your teeth in good shape, of course, but it is not the only reason. 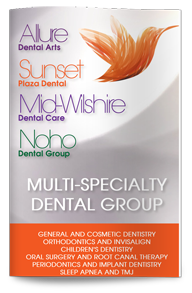 Dr. Afar, West Hollywood dentist, encourages his patients to learn about all the benefits of good dental care. Daily brushing and flossing reduces the risk of one of the most common dental diseases: gum disease. Gum disease is caused by the bacteria that live in plaque and tartar. These bacteria can infect the gums and cause an inflammatory response that increases your risk of heart attack, stroke, diabetes, pregnancy complications and other major health problems. Gum disease is a serious condition that can be treated and controlled, but it is better to prevent it before it has an opportunity to do any damage. Most people should brush their teeth at least two to three times daily with fluoride toothpaste for two to three minutes at a time using a soft-bristled toothbrush. Floss once daily after brushing, and rinse with an antibacterial mouthwash to remove more bacteria and promote gum health. Biannual dental checkups and professional cleanings can help catch gum disease at its earliest stages and remove tartar from those hard-to-reach areas. If you are diagnosed with early stage gum disease, or gingivitis, following your recommended treatment plan may be able to help you reverse it and restore gum health. 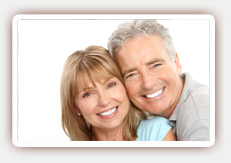 Give us a call today to schedule a checkup with Dr. Afar, West Hollywood dental implants specialist, or to learn more.